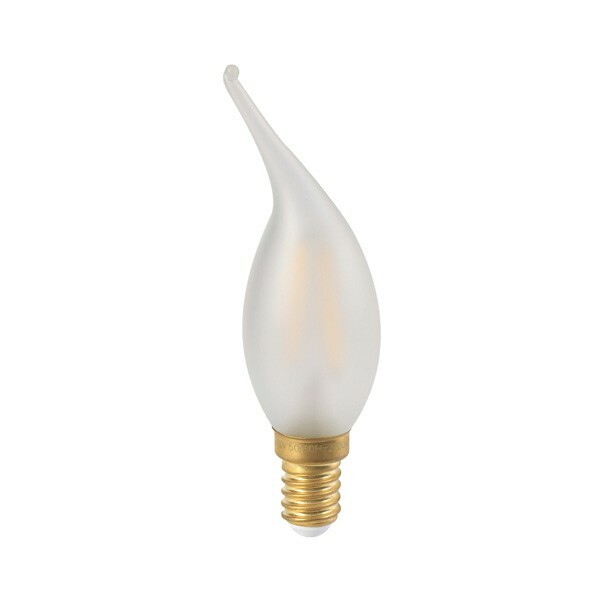 A beautiful bent tip opal LED candle by Girard Sudron. Producing a warm glowing light, these LED candles are perfect for decorative fittings and chandeliers. Girard Sudron 713177 CANDLE CV4 LED FILAMENT 2W E14 2700K 210LM SAT.